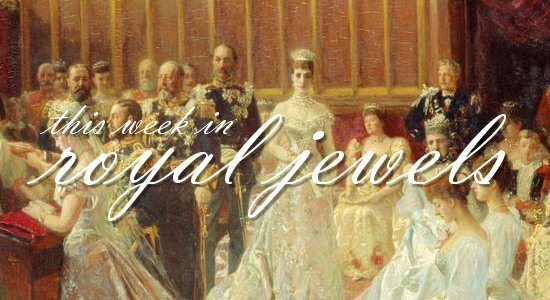 The royal summer holidays are upon us, but we've still got some lovely pieces to enjoy this week. Don't forget to vote for your favorites in the poll below! 10. 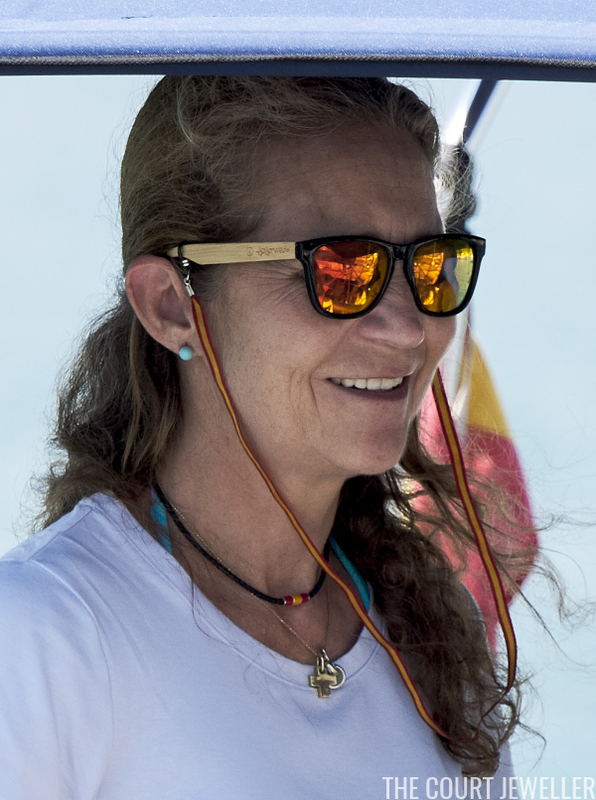 Infanta Elena of Spain wore simple earrings with a ring design while sailing in the 37th Copa del Rey Mapfre in Palma de Mallorca on Thursday. 9. 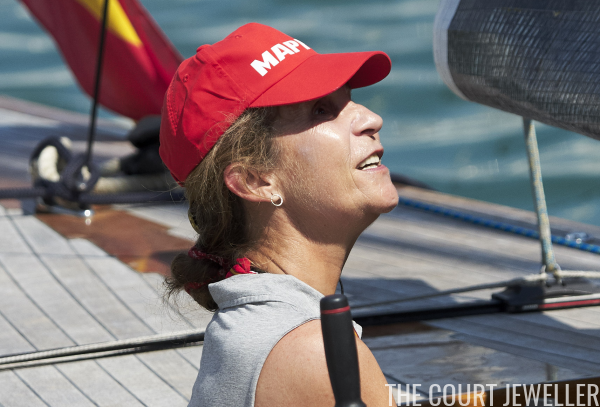 Elena wore layered necklaces and lovely blue earrings as she sailed on Sunday. 8. For the International Music School Summer Courses by Princess of Asturias Foundation in Oviedo last Thursday, Queen Letizia of Spain wore delicate earrings with a star stud and a golden chain. 7. Letizia chose her Chanel star stud earrings for family portraits at the Almudaina Palace in Palma de Mallorca on Sunday. 6. Princess Beatrice of York chose delicate gold bracelets and an embellished headband for the NEXUS meeting at the United Nations headquarters in New York last Thursday. 5. Princess Eugenie of York wore delicate golden earrings with balanced pendants for the same meeting at the United Nations, which was part of her work as Director of the Anti-Slavery Collective. 4. 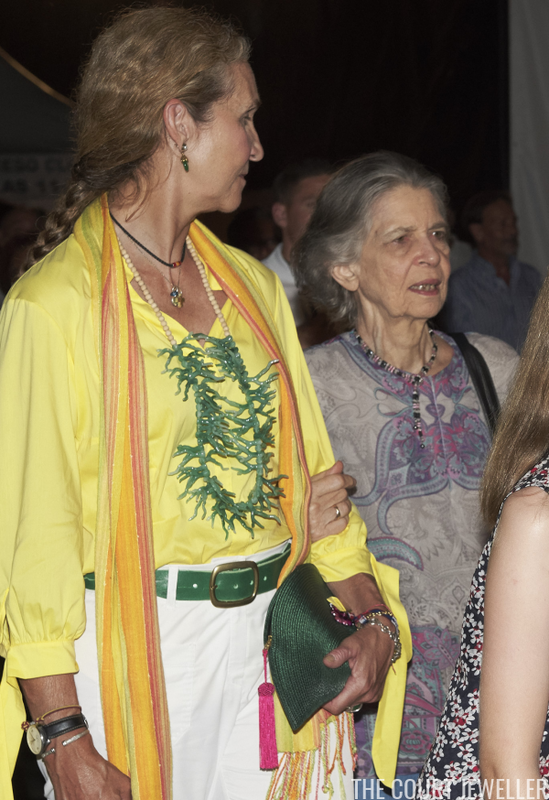 Infanta Elena wore a striking necklace with a green seaweed design on Wednesday for a concert at Port Adriano, but the real highlight here for me is an appearance from her aunt, Princess Irene of Greece and Denmark, who wore a festive lariat-style necklace. 3. Letizia chose a pair of dazzling hoop earrings for Wednesday's concert in Palma de Mallorca. 2. 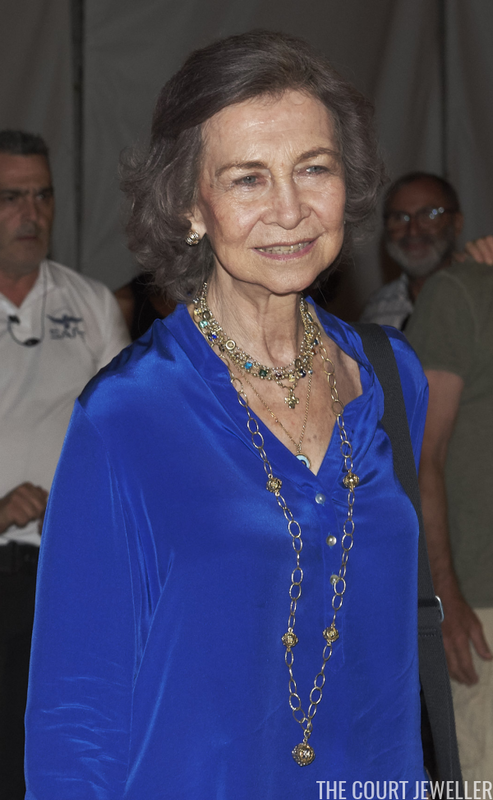 For Wednesday's concert, Queen Sofia piled on her signature layered necklaces, including a sautoir-style piece.